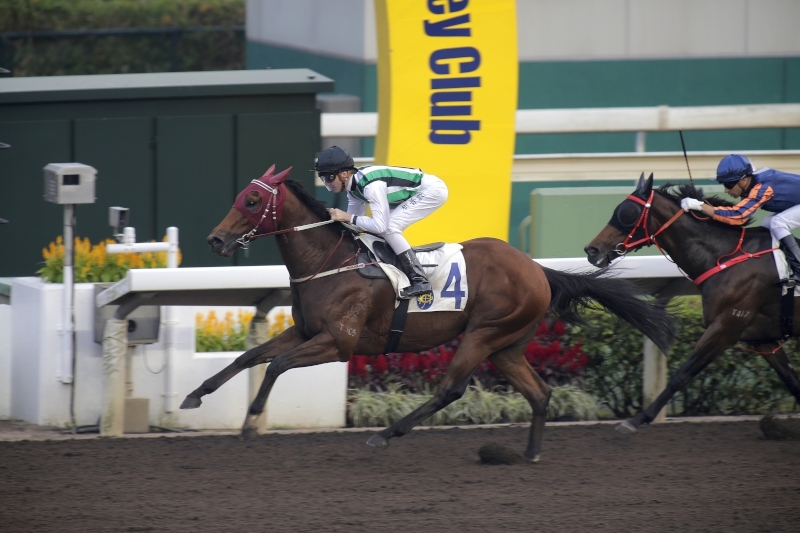 Booming Delight (129lb) bolstered trainer John Moore’s strong hand for the Four-Year-Old Classic Series with a dominant feature race victory at Sha Tin this afternoon, Saturday, 14 January. 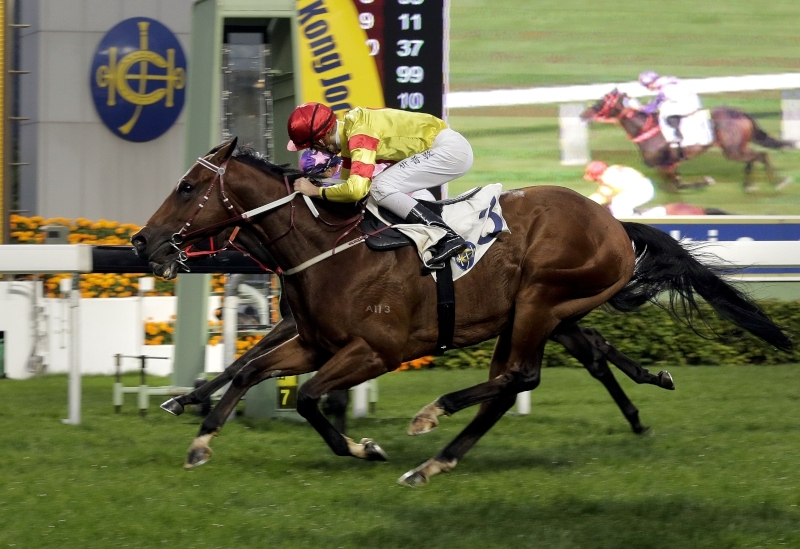 The British import cemented his position as a leading BMW Hong Kong Derby prospect with a neck verdict in the Class 3 Pearce Memorial Challenge Cup Handicap (1800m). 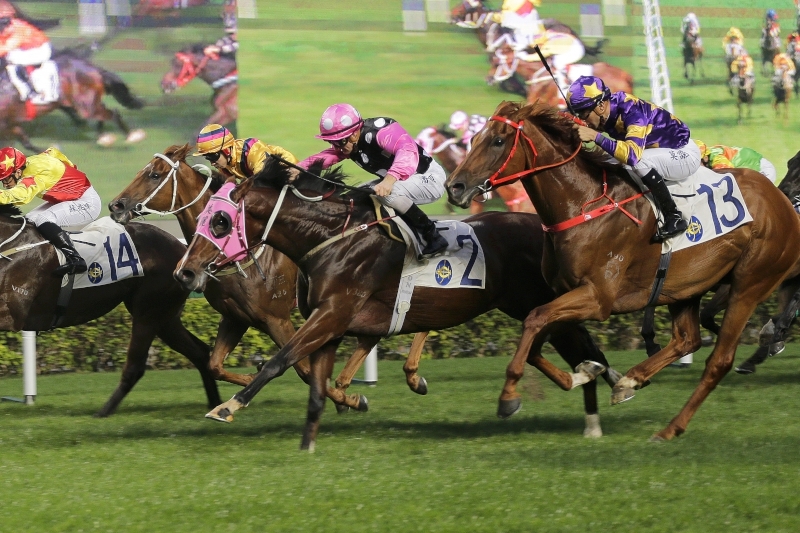 Derby entrant Booming Delight scores a narrow win in the Pearce Memorial Challenge Cup. The Fastnet Rock gelding, a full-brother to last year’s G1 Racing Post Trophy (1600m) hero Rivet, kicked on entering the home straight, quickened clear of runner-up and fellow Derby entrant Prawn Baba (133lb) and, despite tiring close home, kept on for a game win. 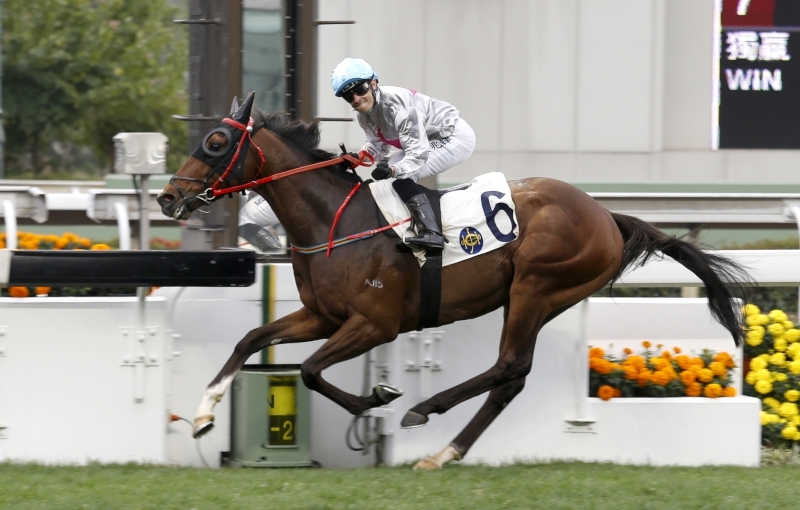 Booming Delight holds an entry in next weekend’s Hong Kong Classic Mile, the first leg of Hong Kong’s Four-Year-Old Classic Series. 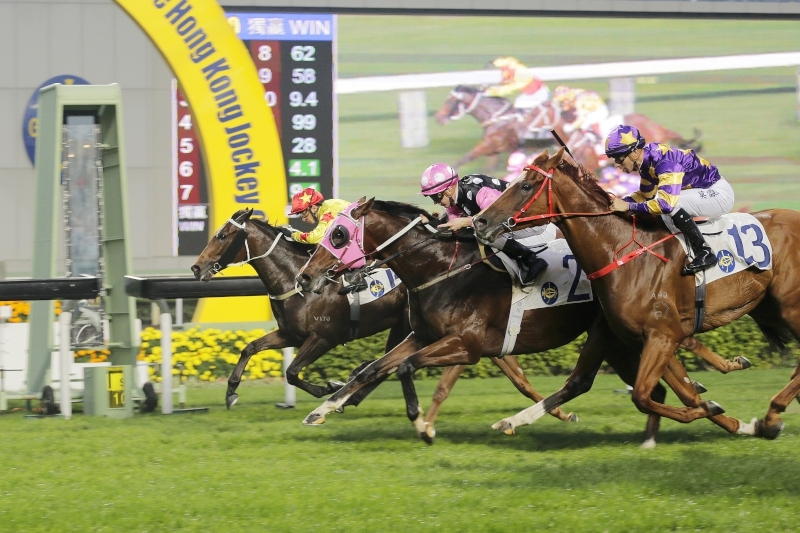 That three-race challenge continues with next month’s Hong Kong Classic Cup (1800m) and climaxes on 19 March with the BMW Hong Kong Derby (2000m). “I’m not sure whether Mr. Moore’s going to send him to the Classic Mile next week or wait for the Classic Cup but wherever he goes he’ll run very well,” Clipperton said. 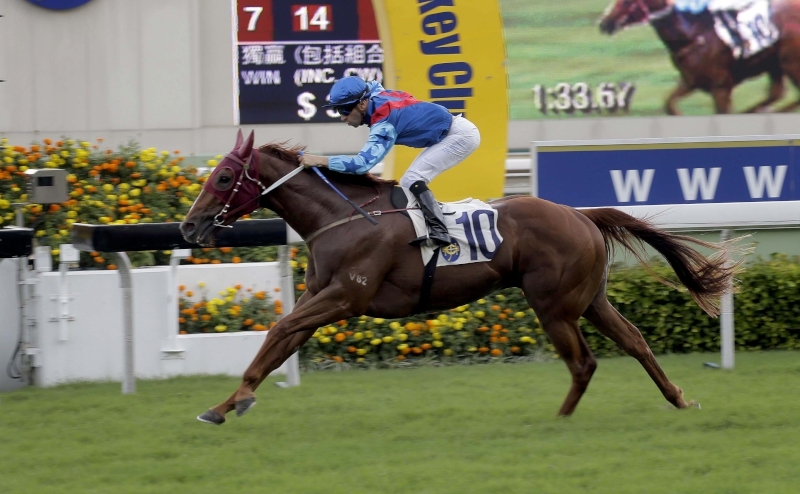 With Moore in Australia, having attended this week’s Magic Millions Sale, owner Peter Law suggested the Classic Mile could be next if Booming Delight makes the cut. 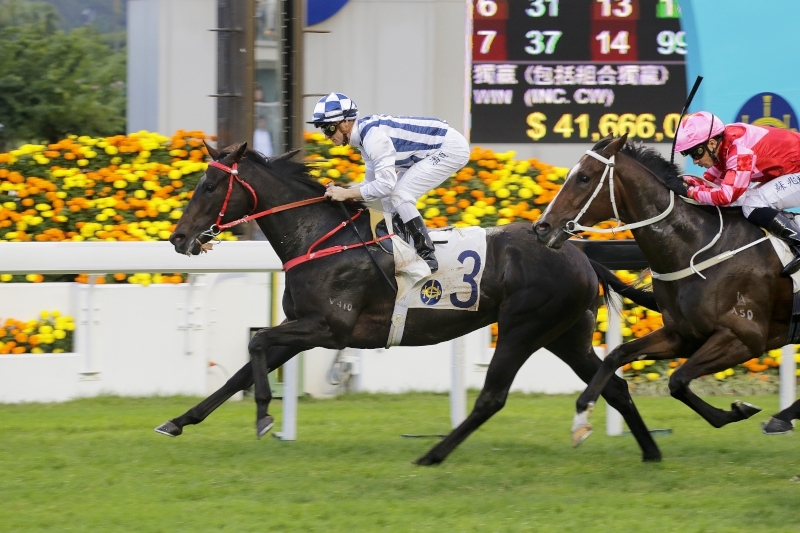 Joao Moreira bagged a four-timer on the day to take riding honours, Invincible Dragon (124lb) rounding things off in the last, the Class 2 Beas River Handicap (1400m), to ensure Moore enjoyed a training treble in absentia. The handler took the opener with the Brett Prebble-ridden Richcity Fortune. 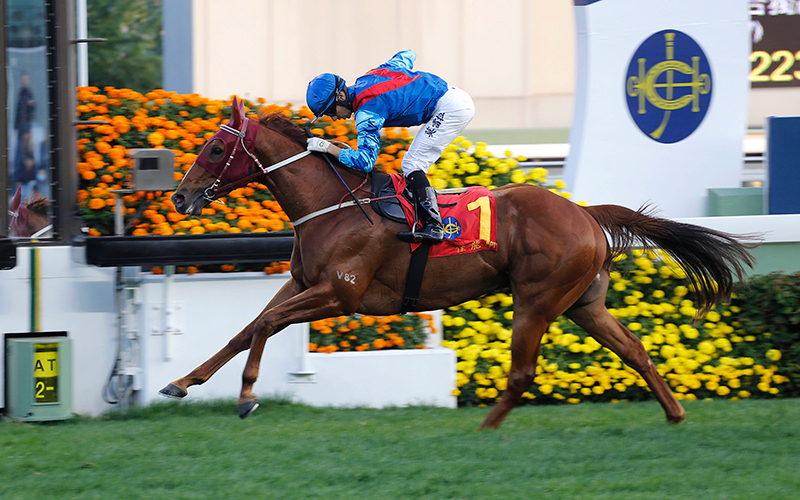 Joao Moreira completes his four-timer today atop the John Moore-trained Invincible Dragon in the final race. 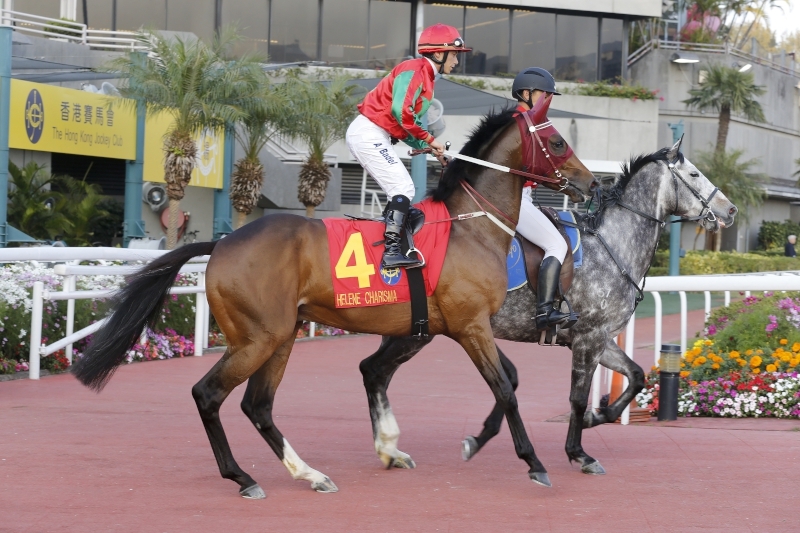 Invincible Dragon, the 2.2 favourite, backed up the promise of a last start second with a fast-closing stretch run to collar and then hold, by a short-head, the rallying top-weight Jolly Banner (133lb). 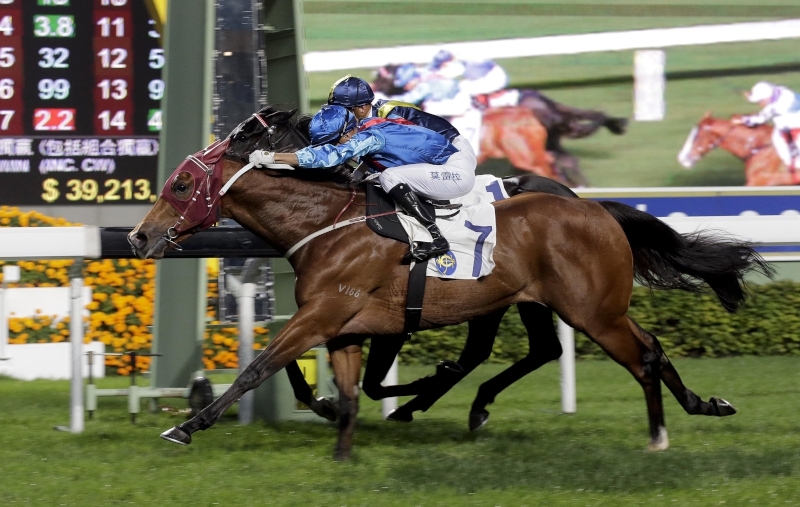 “I was quite lucky to get in because he jumped well from barrier eight and I had a few horses around me going forward, so when I came back and saw a gap I was pleased to take that,” Moreira said of the five-year-old. 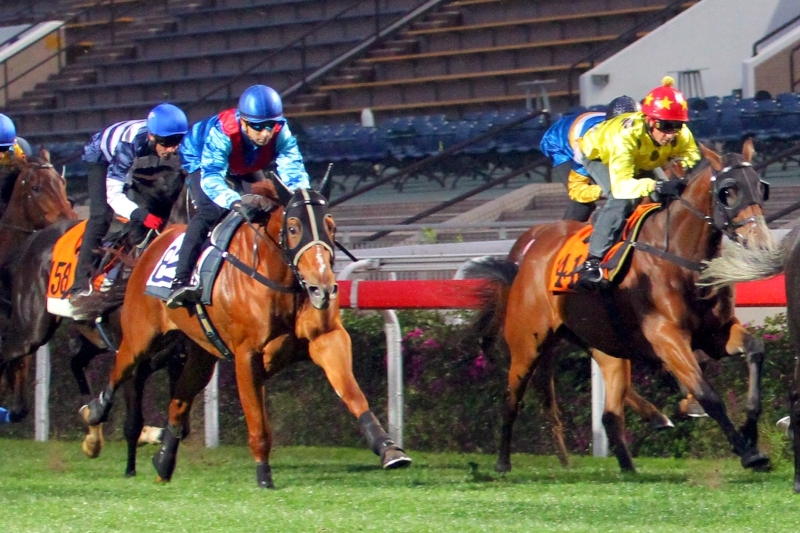 Invincible Dragon surged through the final 400m in 22.44s for a winning time of 1m 21.65s. 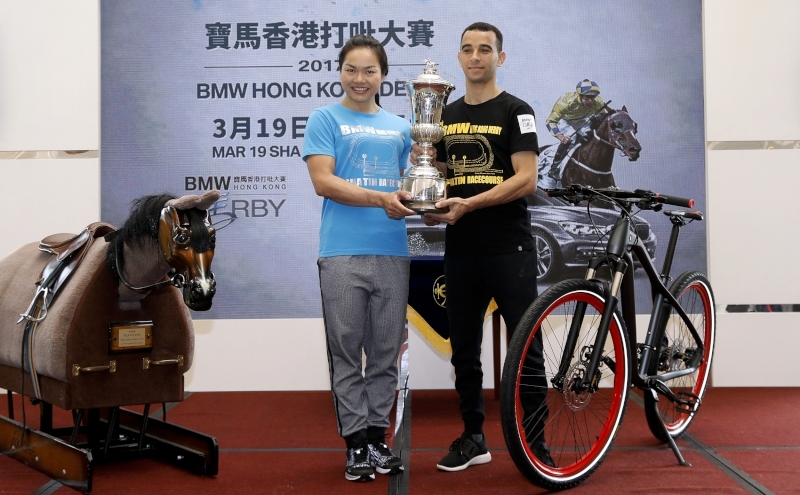 Moreira had enjoyed an easier assignment in claiming his third win of the afternoon. Beat The Clock (121lb), the day’s shortest-priced winner at 1.4, sluiced home in race eight after the champion jockey had fired in a quick double mid-card with Imperial Seal in race four and Dr Listening in race five. 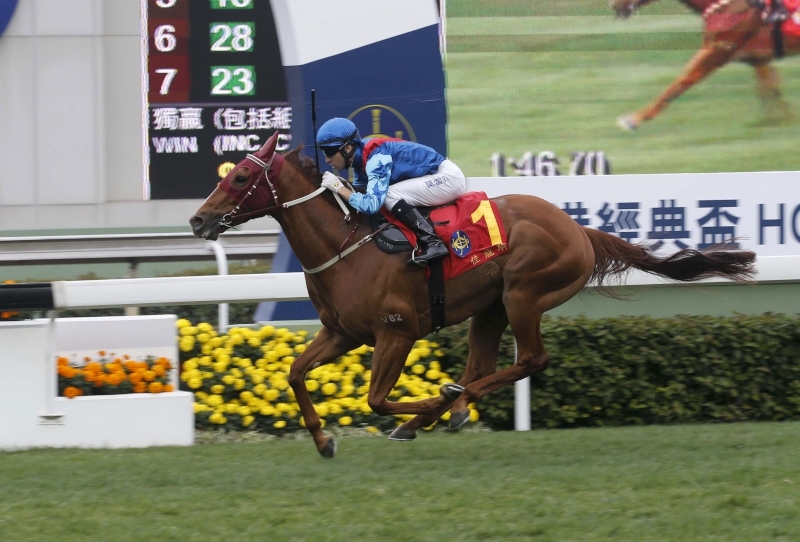 Beat The Clock routed his 13 rivals in taking the Class 3 Yin Kong Handicap (1400m), breaking smartly from gate two to stalk the leader and then quickening to an easy lead down the stretch. The John Size-trained three-year-old drew three and a half lengths clear for his second win at start five. Another rising talent from the Size stable is Dr Listening (122lb). The four-year-old was sent off the 1.5 favourite to make it three wins from five outings in section one of the Long Valley Handicap (1200m), but the Star Witness gelding’s supporters had a couple of anxious moments in the straight. 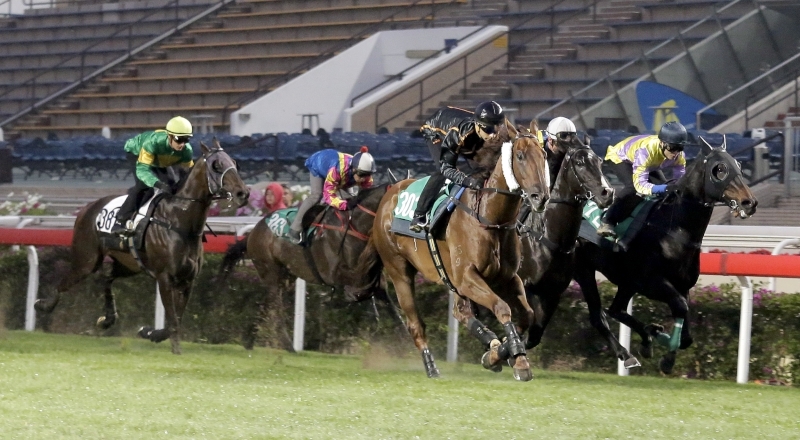 Dr Listening was pocketed and buffeted from the 400m point until 250m out; once clear, the bay proceeded to hang out as runner-up Happy Agility (125lb) rattled into contention under Karis Teetan. Dr Listening (white and red silks) holds off a late challenge from Happy Agility to win the Long Valley Handicap with Joao Moreira on board. “Two things happened in the race that meant he didn’t win as easily as he could have,” Moreira said. “One was that the horse (Marvel Tribe) that I was trying to get outside of kept on coming out and forcing me to keep on shouldering the outside horse, which was Regency Darling. That stopped him for a little while. Dr Listening had a neck to spare on the runner-up and that pair was a length and a quarter clear of the third, with the clock stopping at 1m 09.87s. 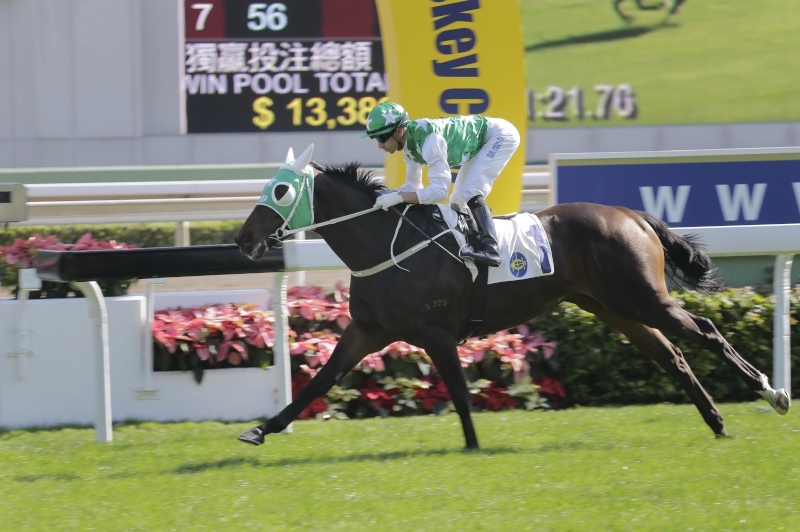 Imperial Seal’s victory saw Moreira team with Caspar Fownes to land the Class 4 Kwu Tung Handicap (1600m) and the trainer was also on the mark with Robust Momentum in race two. 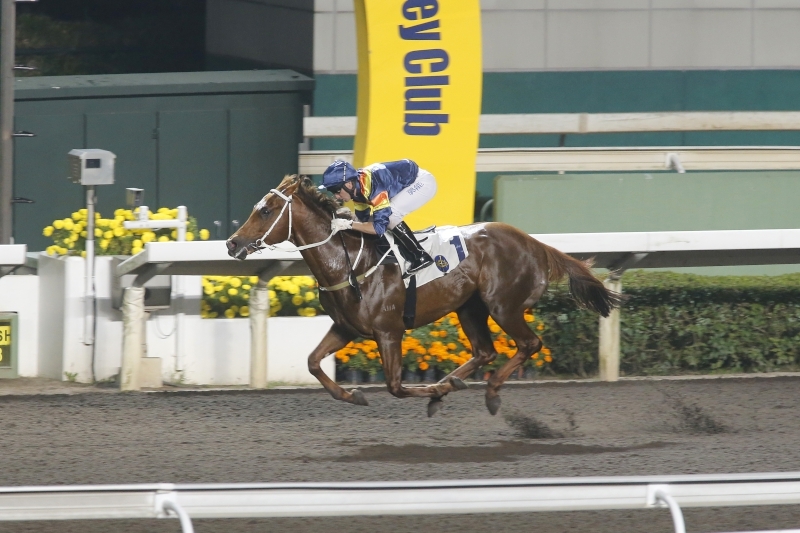 Karis Teetan rode the latter and the Mauritian ace joined forces with trainer Michael Chang to land the sixth race with 16/1 shot Smiling Charm. 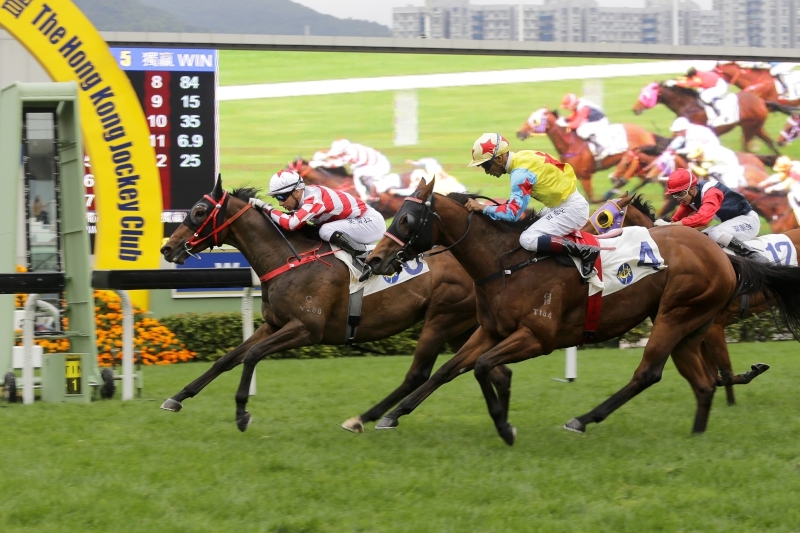 Race three went to the Tony Cruz-trained Daring Fit, ridden by Neil Callan, while trainer Chris So and Derek Leung were on the mark with Hang’s Decision in race seven. 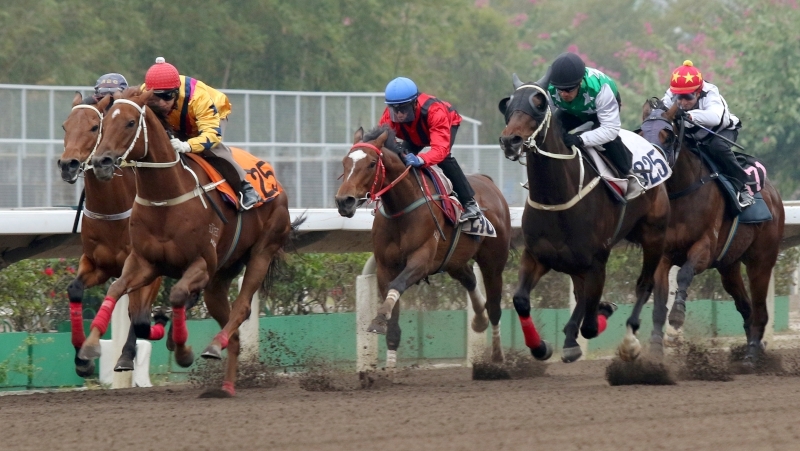 Hong Kong racing returns to Sha Tin for an evening all-weather fixture on Wednesday, 18 January.